ODGSelene and litz like this. 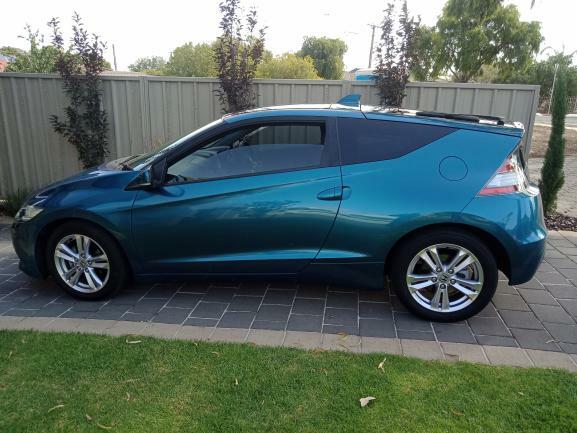 I've got a nice Pearl White Melb CRZ late last year that I just love, great shape, great cornering and surprisingly quick in sports with paddle shifters. Welcome! You'll love the performance upgrades! Good luck with the Navi install, hope it works for you. UPDATE on the base radio system swap to a Navi audio system install. Install went well and the only controls not working are the steering wheel phone send/hang-up. This hasn't proven to be an issue because the touch screen is easy enough to use. Other than the steering wheel phone buttons everything else works. Navigation works brilliantly and tracks the car. Radio/DVD/CD/Bluetooth controls all work. Volume up/down/track up/down/ mode all work for Radio, Radio scanning, radio tuning, CD play etc, DVD play etc and Bluetooth audio control over my phone. All speakers work with the fader. Lastly, the system dims with lights on. Really cannot fault the install, especially after reading horror stories about expensive or complicated re-wiring. It was a straight fit, no modifications, mounting screw correct location, Hazard works ok. I'm looking to install an OEM rear view camera when one becomes affordable and I'll just splice in a long run of wires so the loom connects. Lastly, if I can locate a steering wheel phone call/hang-up loom connector for a Navi unit I'll splice the old steering wheel phone call/hang-up loom to allow the functionality of the steering wheel call/hang-up buttons, but they're not essential. All in all, everything worked except the call/hang-up buttons on the steering wheel. My K7N Pod filter is due tomorrow (Wed, 17th April) so looking forward to connecting that. I've got a JP Style Front Bumper Lip on its way so that should tidy up the front spoiler a lot as I like the continuous look of the JP Style Front Bumper Lip. I got the urethane lip as I believe urethane is more forgiving than FRP which tends to crack when bumped. Just Ordered a T1R Racing Convertor for the CRZ as I believe it's also a good affordable mod.